SSRC has been selected to investigate the performance and validation of the LYRA instrument onboard the PROBA-2 spacecraft. LYRA (LYman alpha RAdiometer) is an ultraviolet irradiance radiometer that observes the Sun in four passbands, chosen for their relevance to solar physics, aeronomy and space weather. PROBA-2 is the second of ESA’s “PRoject for OnBoard Autonomy” spacecraft. The goal of the proposed research is to enhance the specification, characterization, and understanding of solar EUV irradiance and its variability as observed by the LYRA instrument. Extreme ultraviolet radiation from the Sun is the primary source of energy for the Earth’s environment at altitudes above 100 km. Variations in solar EUV radiation profoundly impact both the neutral atmosphere and ionosphere. It is through the variability and modulation of ionospheric conductivity on the precipitation of energetic particles in auroral regions, the coupling of the ionosphere and thermosphere with the magnetosphere, and with the lower atmosphere, which may impact, respectively, particle environments in space, and global change in the lower atmosphere. Accurate irradiance measurements from LYRA can provide unprecedented temporal resolution in this important region of the solar spectrum. Work on this project will be completed at SSRC in Alexandria and, over the next year, the SSRC Principal Investigator will travel to Brussels as needed to work with the PROBA-2 science team at the spacecraft command and data processing center. Final results of this work are expected next summer and will be presented to the Royal Observatory of Belgium at the conclusion. 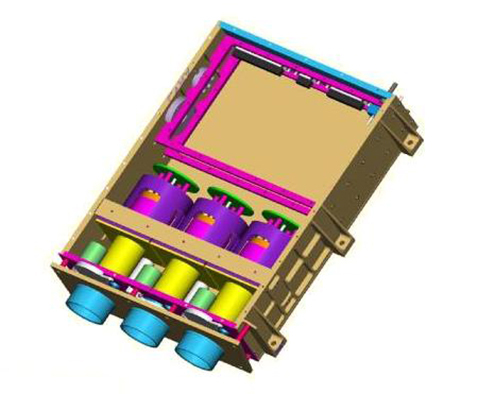 Previous PostSSRC has been selected by NASA to develop next generation Extreme-Untraviolet (EUV) Solar Radiometers for space weather and solar physics applications. Copyright © Space Systems Research Corporation. All Rights Reserved.